Battle of Wanjialing, well known in Chinese text as the Victory of Wanjialing (simplified Chinese: 万家岭大捷; traditional Chinese: 萬家嶺大捷; pinyin: Wànjīalîng Dàjíe) refers to the Chinese Army's successful engagement during the Wuhan theatre of the Second Sino-Japanese War against the Japanese 106th Division around the Wanjialing region in 1938. 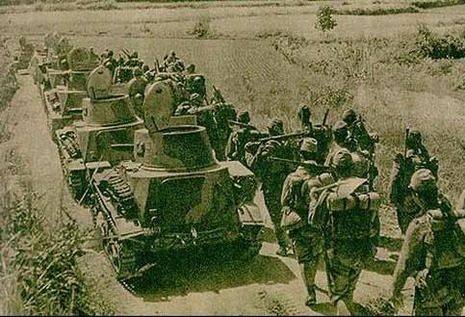 Starts from October 2, to fly adjusts Wan Jialing the area Kuomintang first army corps each to start to 106 divisions to implement the attack and surrounding. After discovering oneself fall into the encirclement, the Japan 106 divisions start to use the superior fire, breaks through crazily. In order to crush the enemy to break through the attempt, annihilates 106 divisions rapidly, the Xue mountain takes action first and explains later, the anxious accent guards Mt. 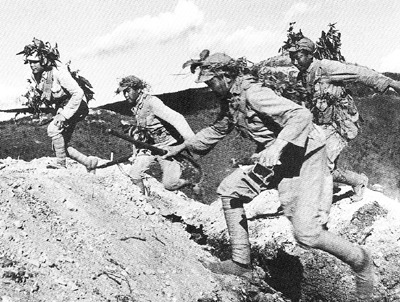 Lushan's Kuomintang 66 armed forces reenforce, the fight is exceptionally brutal intensely. Fights to October 6, 106 divisions already casualties more than half, broke through outward was already impossible, only could change over to the defense, defended stubbornly treats the help.